OLT is one of the major gopn equipment. There are three types of frame. The large frame (SmartAX MA5600T) has 16 service slots while the middle frame (which named MA5603T) has 6 service slots and the small frame (which named MA5608T) has 2 service slots. The hardware and software are all compatible between MA5600T, MA5603T and MA5608T. 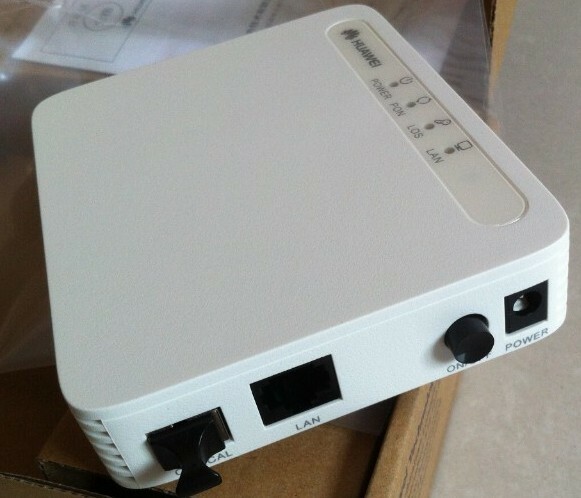 Huawei Echolife HG850a GPON Terminal FTTX ONT with 4 Ethernet port and 2 voice port, green SC/APC input. 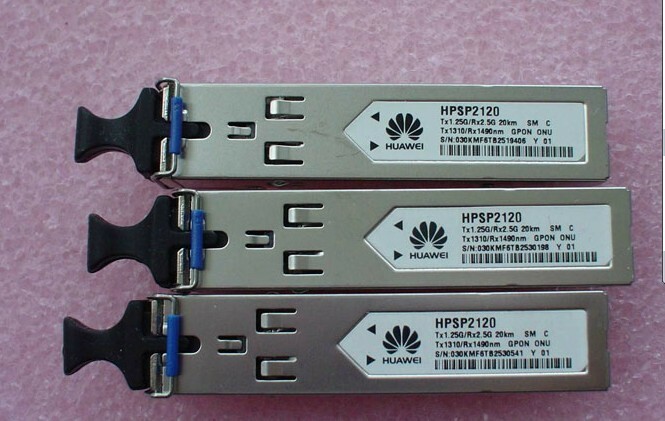 Specifications : Flash memory (8MB), SDRAM (16MB), Service port ( 4 Port 10/100 Base-TX RJ45 ; 2 Port POTS interface RJ11), Uplink Port (1 Port GPON SC/APC type), Power Adapter (input 100-240 VAC, 50-60 Hz, output 12V-1A). QoS : HW-based internal IEEE 802.1p(CoS); Strictly Priority, 4 Queues per port. 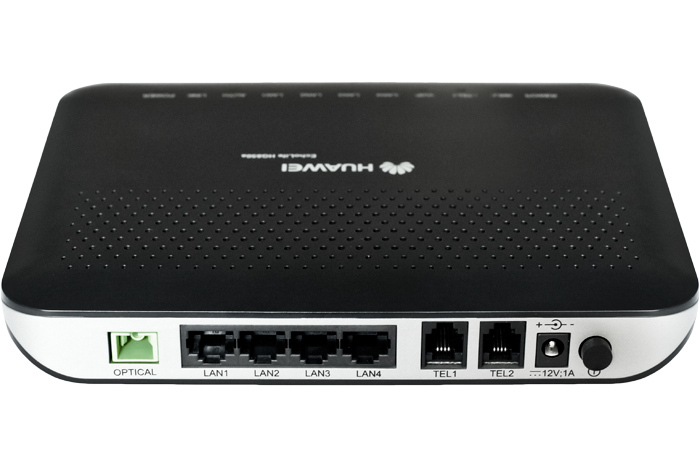 The EchoLife HG8010 is an indoor optical network terminal (ONT) in Huawei FTTH solution. By using the GPON technology, ultra-broadband access is provided for home and SOHO users. The HG8010 provides one GE/FE auto-adapting Ethernet port. The HG8010 features high-performance forwarding capabilities to ensure excellent experience with VoIP, Internet and HD video services. Therefore, the HG8010 provides a perfect terminal solution and future-oriented service supporting capabilities for FTTH deployment. • Class B+ optical module. • Security authentication mode: SN, password or SN+password. • GEM port mapping mode: VLAN, 802.1p, VLAN+ 802.1p, IPToS, physical port. • VLAN filtering and VLAN transparent transmission. • VLAN N:1 aggregation and VLAN 1:1 translation. • Local management using Web and remote management using OMCI. • Dual systems for software protection. • Type B protection and rogue ONT detection. • Dynamic power consumption adjustment.